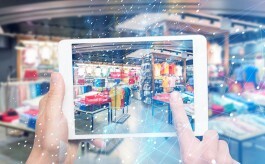 According to the study, 83% of retail decision makers and 74% of store associates feel shoppers can have a better experience with technology-equipped sales associates. In a recent study surveying 1,225 retail store associates and 430 decision makers from around the world, two-third (66 percent) of the surveyed associates believe that if they are equipped with tablets, they could provide better customer service and improve the shopping experience. The 11th annual Global Shopper study conducted by Zebra Technologies also show that 55% of retail associates agree that their company is understaffed, and nearly one-half (49%) find they have little time to help shoppers because of pressure to get other tasks completed. Another 28% claim that it’s difficult to get information to help shoppers. According to the study, 83% of the retail decision makers and 74% of the store associates concur that shoppers can have a better experience with technology-equipped sales associates. As part of the study, 4725 shoppers from around the world were also surveyed. Only 13% said they completely trust retailers to protect their personal data, the lowest level of trust among 10 different industries. Nearly 70% of shoppers prefer flexibility to control how their personal information is used. More than one-half of shoppers (51%) believe they are better connected with their smartphones than the store associates. Retailers are investing in edge technologies to combat this gap. Nearly 60% of retailers plan to increase their spend on hand-held mobile computers by more than 6%, and more than one-in-five retailers, 21%, plan to spend greater than 10% on rugged tablets over the next three years, the study noted. The study also identifies diverging expectations on the impact of automation between retailers and store associates. Nearly 80% of retail decision makers – compared to 49% of store associates – agree that staff checkout areas are becoming less necessary due to new technologies that can automate checkout. Also, more than one-half of retail decision makers (52%) are converting point-of-sale (POS) space to self-checkout, and 62% are transforming it for online order pickup. 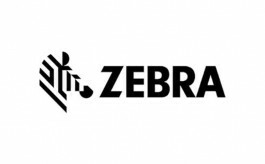 Zebra Technologies 2018 Insights: Digital Transformation is moving along – so what’s next?